The 2018 Bring & Sing will take place on just one day offering 12 singers the chance to give a short recital at the Jacqueline du Pré Music Building. 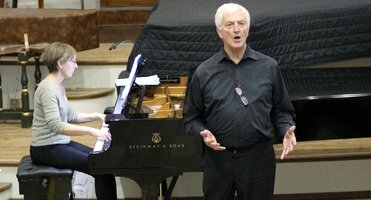 Each singer is allocated a 10 minute rehearsal session in the morning and a 7 minute recital session in the afternoon. 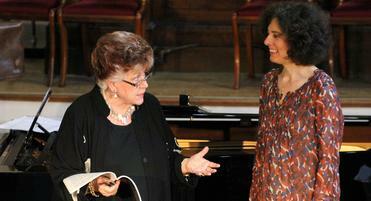 Singers can use the in-house accompanist, or bring their own duo partner. A great opportunity to receive coaching from highly renowned artists. We are delighted to offer an immersive experience for everyone, providing the opportunity to participate and observe masterclasses all day. Each participant prepares two songs and receives constructive feedback on their performance in a 30 minute coaching session with Sophie Daneman. We warmly encourage you to stay all day and enjoy getting to know your fellow participants and coaches. A rare chance to receive coaching on music college audition technique. 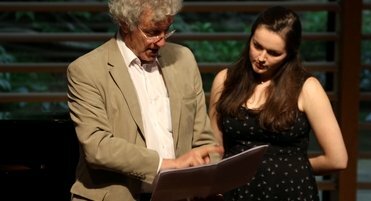 Led by Robin Bowman, former head of voice at the Guildhall School of Music and Drama and a well-known teacher, this masterclass prepares 'vocal studies' music college applicants for the rigours of the audition process. Members of the public are welcome to attend.